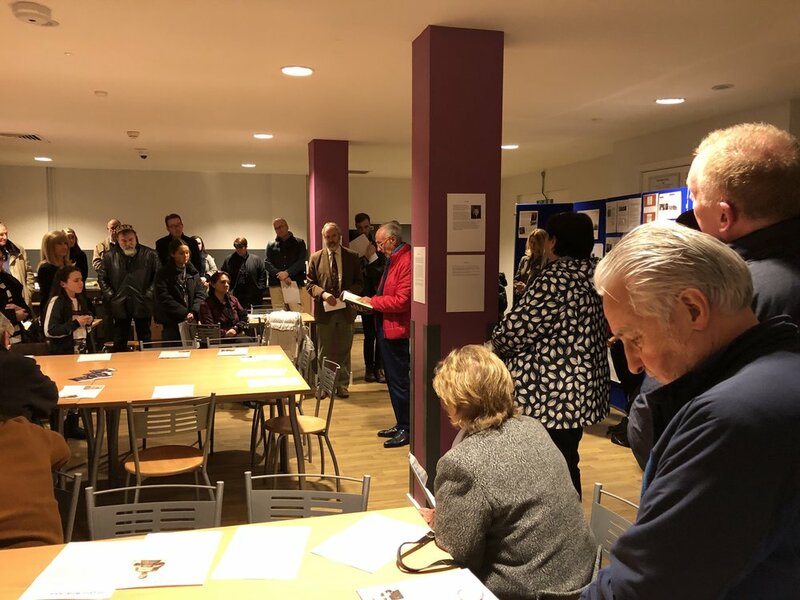 Here are some pictures from our Holocaust Memorial Day launch in January 2019. We lit candles for the individual members of the families of the boys who were murdered in the Holocaust. 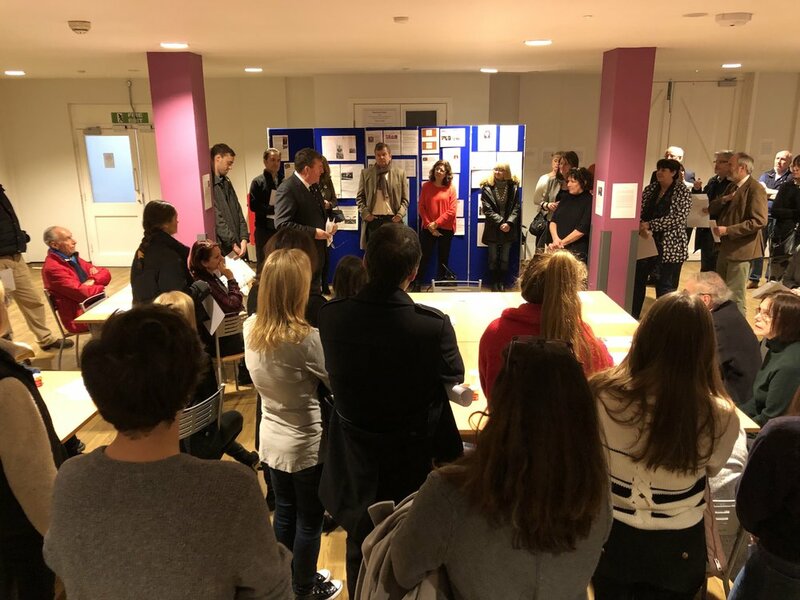 On display at the event was the work of the girls of St George’s Ascot School who had studied the story of Ascot’s Belsen Boys in class. 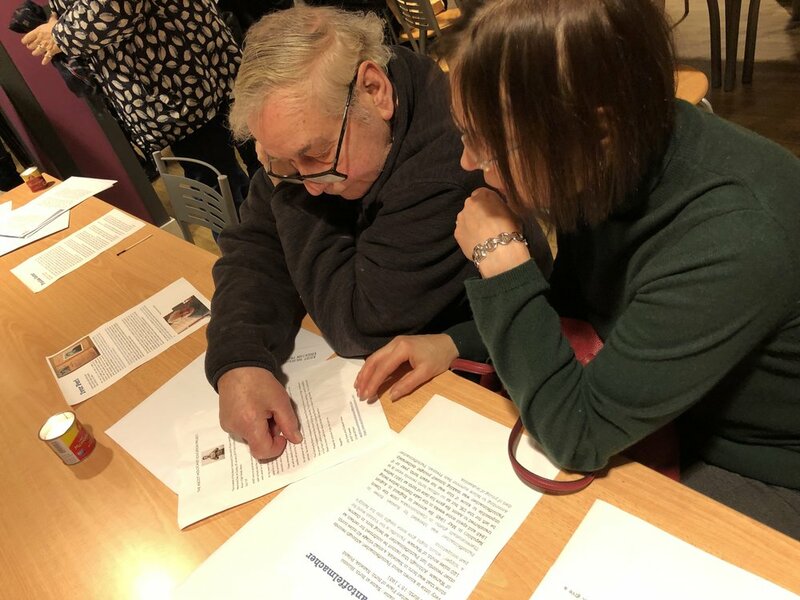 The event was attended by two of the child Holocaust survivors who were cared for in Ascot, Ivor Perl and Sam Freiman, and family and friends of the others. 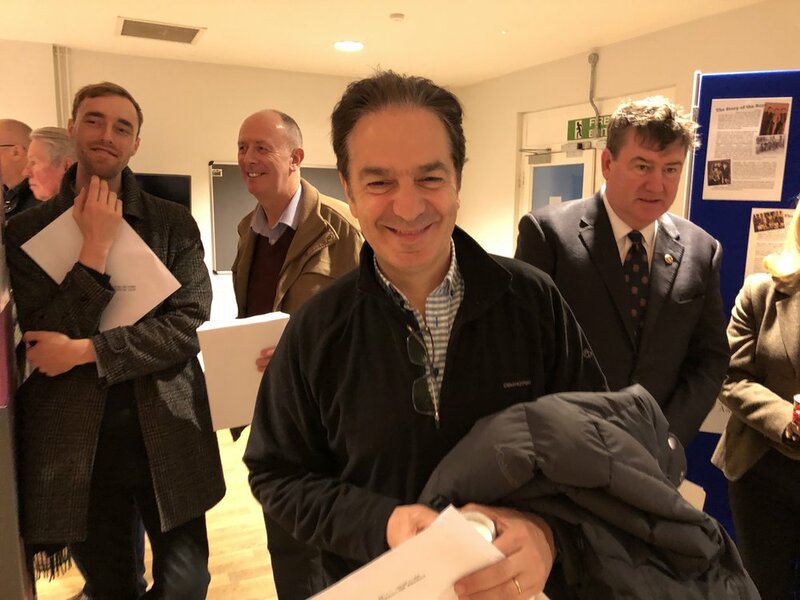 Simon Dudley, the leader of the council and Colin Rayner, the deputy mayor spoke at the event, as did journalist Rosie Whitehouse. Rabbi Jonathan Romain of Maidenhead Synagogue and Gery Adler said the prayers for the dead. We are are grateful to the Ascot Durning Library Trust for supporting the event. On display was the work of the girls from St George’s Ascot. 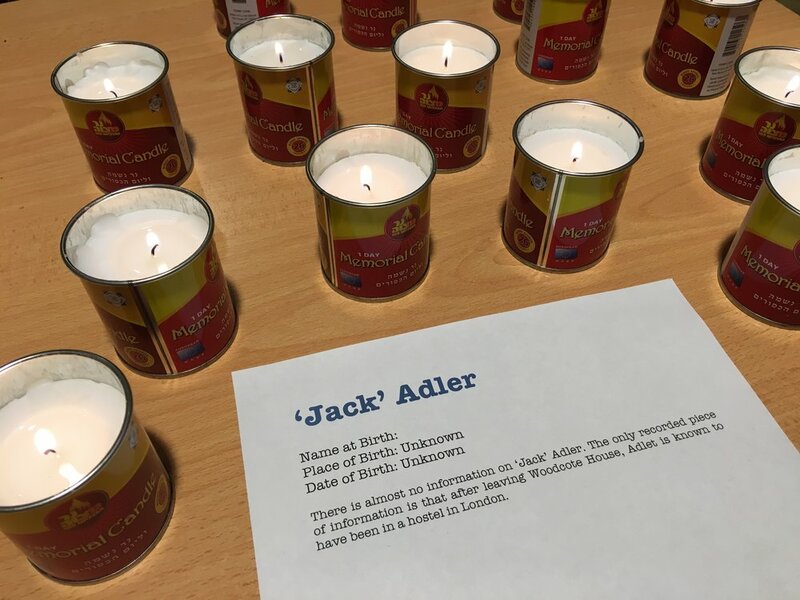 Everyone who attended was given a memorial candle and an envelope that contained the biography of one of the boys and details of one of the people in his family who had been murdered in the Holocaust. They lit the candle in that person’s memory at the event. Journalist Rosie Whitehouse, who discovered the story of Ascot’s Belsen Boys, spoke at the event. Trustee Lili Evans addressed visitors. 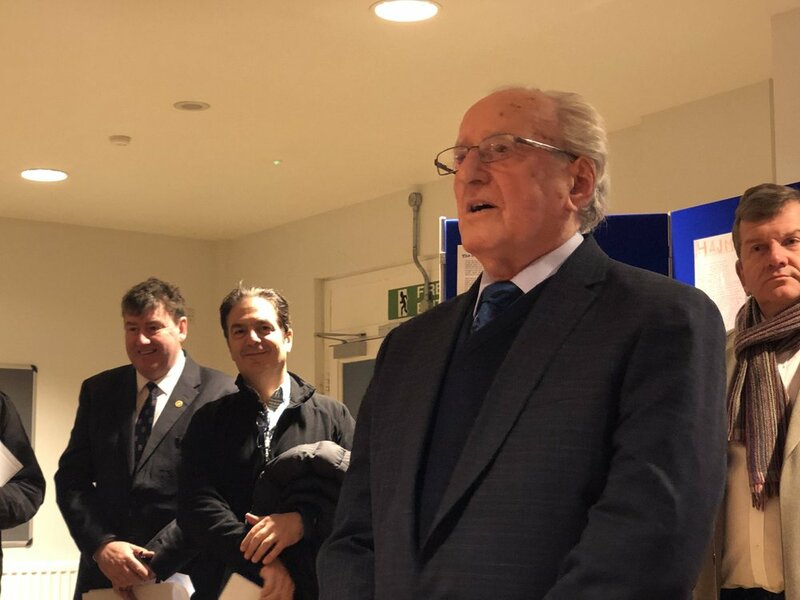 Ivor Perl, one of the child Holocaust survivors cared for in Ascot spoke at the event. Philip Burton of the ‘45 Aid Society. Survivors Ivor Perl and Sam Freiman. This is Lawrence Kampel next to the school project on his father made by one of the girls at St George’s School in Ascot. We would like to say thank you everyone who volunteered to help at the event. Survivors Ivor Perl and Sam Freiman talk to the guests. Rabbi Jonathan Romain and Gery Adler say the prayers for the dead. Also Attending were the Bard family who cared for the boys at the weekend. AHEP was featured on Channel 5’s Do The Right Thing with Eamonn Holmes and Ruth Langsford on 15 February 2019. Some of the show was filmed at Ascot Racecourse. In the distance among the trees is where Woodcote House was sited before its demolition. Ivor Perl who was cared for at Ascot is seated on the right. The two sons of Sam Diament who was also cared for in Ascot were flown in from the USA. on the sofa is Irene Baldock (left) and Margaret Nutley (right) both of whom remember Ascot’s Belsen Boys. The show was a great success and a good time was had by all. From the Left: Irene Baldock, Sam Freiman, Margaret Nutley and Ivor Perl.